A group of people, making decisions and building together is the true definition of construction. Success comes from collaboration. Our mission is to connect: to our partners, our clients, and each other. Our people define us – diversity is our strength. 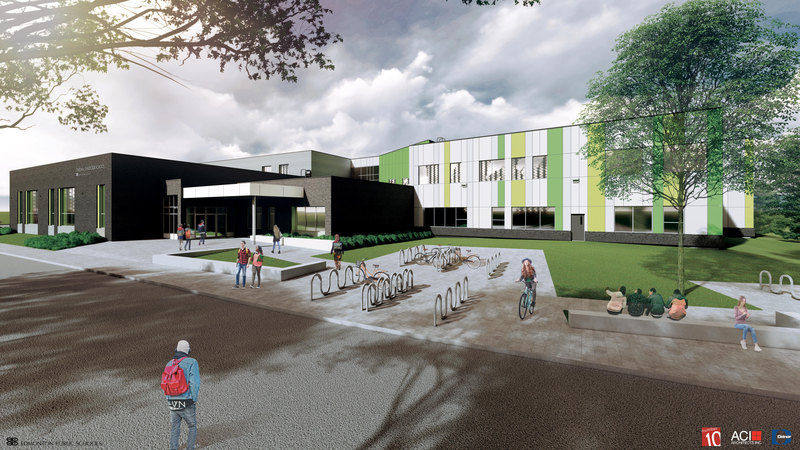 We are proud to be working with Delnor Construction on 2 simultaneous school projects, using the Integrated Project Delivery method of construction, and featuring 21st Century Classroom Design. Being able to contribute to the design phase of these projects, we are thrilled to be involved in the future of construction, and have a hand in developing the future of these communities. A strong team begins with training. We support organizations such as Careers the Next Generation (mentoring RAP students) and Women Building Futures. We encourage apprenticeship despite employing non-compulsory trades (Lather-Interior Systems Mechanics & Painter/Decorators.) Our apprenticeship program connects students with mentors who receive guidance from our designated Apprenticeship & Training Facilitator. We are always looking for the right people. At Ideal, we focus on building CAREERS, not just jobs.